Vacation Vinyl will host Norwegian progressive extreme metallers ENSLAVED for an in-store signing session this Saturday, February 15th at 1:30 p.m. prior to the band’s evening performance with Amon Amarth and Skeletonwitch at The Wiltern. Vacation Vinyl is located at 3815 W. Sunset Boulevard (between Hyperion & Lucile avenues), Los Angeles, 90026. Details on VV’s Facebook post here. 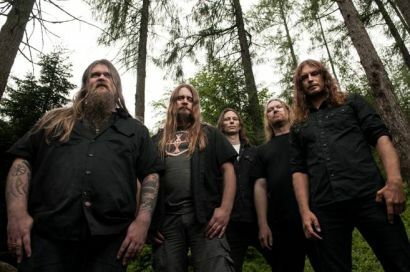 On tour in support of their 2012 studio release, RIITIIR, the album debuted at #8 on the American Billboard Heatseekers (New Artists) chart in October 2012 and appeared on numerous “Best Albums of 2012” lists around the world.